County supervisors took one of the last local steps to establish a state park in northwestern Loudoun on Thursday, passing the baton—and almost 900 acres of land—to the state government. 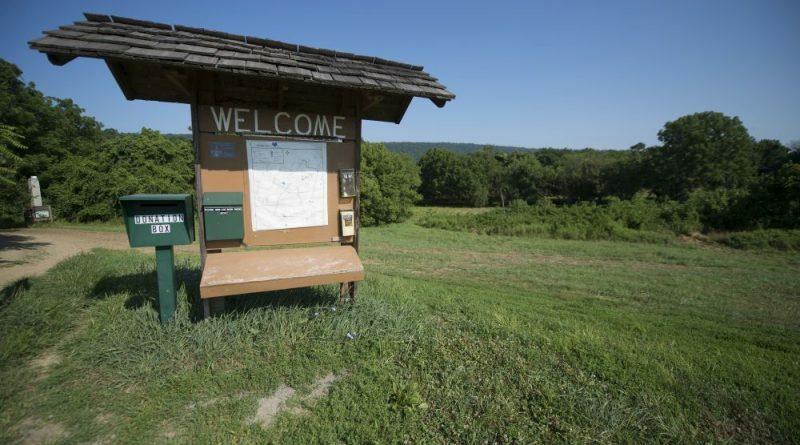 Supervisors reached a deal Thursday afternoon with the Robert and Dee Leggett Foundation to buy a 281-acre parcel off Harpers Ferry Road near Neersville for $2.9 million. The property was appraised at $3.5 million in 2016 for the Leggett Foundation and is listed in county tax records at an assessed value of $2.2 million. It joins 604 acres previously donated to the state by the Leggett Foundation. The additional land includes the trails and park facilities of the Blue Ridge Center for Environmental Stewardship, creating what supervisors say is a ready-made park. Under the current plan, the Blue Ridge Center will continue to manage the property for as long as the state needs, saving the government money on hiring new employees. Supervisor Geary Higgins (R-Catotin) said he expects the property will jump to the top of the list for new state parks, since it already has those facilities. The purchase marks one of the last steps in plans that have been in the works for years. Gov. Bob McDonnell announced plans for the park in northwestern Loudoun just before leaving office in 2014. Since then, efforts have focused on transferring the assemblage of land on the Blue Ridge to the state government. Other supervisors gave credit to Higgins and his chief of staff, Stacy Carey, for their work pushing to bring the state park to fruition over the course of years. Higgins said it was the product of work across almost two terms on the Board of Supervisors. “This will put together pretty much a thousand-acre state park in Loudoun County which is, depending on where you want to draw the line, the only state park in Northern Virginia,” Higgins said immediately before the vote. And he said in addition protecting a piece of history, including the route Mosby’s Rangers took to attack the federal camp of Cole’s Cavalry during the Civil War on Jan. 10, 1864, the park will generate economic activity for the county. “The closest state park to this location in Loudoun, Sky Meadows State Park in Fauquier County, generates $5.3 million in total visitor spending,” Higgins stated the next day. “I think for us here, in this part of the county, it just adds to the panoply of opportunity for strong tourism, which will bolster the rural economy, and ultimately lead to even more preservation of farmlands and open space and mountainsides and all of that,” Vance said. “I think we couldn’t make a better investment with our tax dollars than to encourage that type of growth,” Vance said.